New approaches to barrel aging lend unique flavor profiles to cocktails, spirits and beer. There’s a little-known law in the libations industry that mandates bourbon can only be aged in a brand-new barrel. That, of course, leaves a large supply of perfectly good, used barrels—and an incredible opportunity for those who are passionate about making uncommon, high-quality drinks. Mixing equal parts innovation and invention, and adding a generous splash of creativity, these brewmasters and mixologists are giving new life to old casks and creating barrel-aged cocktails, beers and liquors for modern palates. 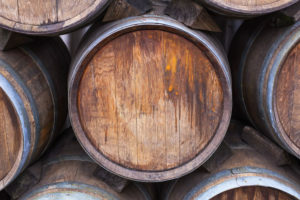 Although barrel aging in wood is most often associated with wine and whiskey, its expansion into other liquors is relatively new. The process and ingredients are different for every libation, and lend a unique flavor profile: Some spirits are aged in whiskey barrels, while others use wine barrels. Some are seasoned with sherries and ports, while others rely strictly on the wood. 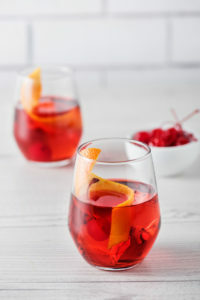 And in some cases, the liquors are mixed before being stored, eventually resulting in a contemporary take on crafted cocktails that are ready to pour over ice. Barrel aging in general is not new to the United States. It has been done for centuries. Other spirits that have long benefitted from barrel aging include gin and chartreuse; today, creative approaches to the old-school technique are imparting distinctive new tastes. These spirits often use wine barrels, not bourbon or whiskey barrels, for aging. Even though both casks may be made of oak, the flavor is unique. 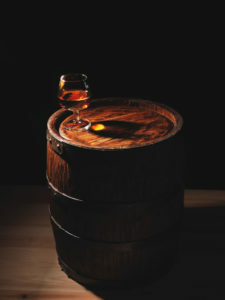 Barrel aging is popular for creating cocktails, new types of beer and other spirits. “The main difference is that wine barrels are toasted, whereas bourbon barrels are charred,” Geshury explains. As a result, the toasted barrels give a more mellow wood taste, whereas the bourbon barrels lend a charcoal-like flavor. Even bourbon, with its strict rules about barrel aging, is seeing innovation. All bourbon is initially aged in charred white oak, explains Susan Reigler, who has authored four books on bourbon published by the University Press of Kentucky. However, some distillers are now adopting a new finishing process. barrel that was used to age sherry or port and try to age for another few months or sometimes years,” Reigler says. barrels so consumers and bar owners can age them themselves. While many modern ales are fermented in stainless steel tanks, recently there has been a resurgence in wood barrel-aged beers, thanks in part to the spirits trend. Wine barrels can be used to age spirits like gin and chartreuse. flavors that already exist in the barrels, she says. The beers are not only aged in oak; some use woods such as cherry, alder, cedar and pine. Sometimes brewers will add wood blocks or chips to stainless steel barrels. of styles, which are carbonated again before being bottled. “Barrel aging is a super creative way to get to know and enjoy beers these days,” Herz says. At Sea Island, guests and members can enjoy barrel-aged beer at a Davis Love Grill, which offers Kentucky Bourbon Barrel Ale on draft. The beer is aged for up to six weeks in freshly decanted bourbon barrels from Kentucky distilleries, which gives it notes of oak and vanilla. process gives the individual ingredients a chance to meld together, and the cocktail gains a greater complexity from the oak. McLoughlin uses everything from 3- to 9-liter barrels—both new and old, always cleaned and sometimes re-toasted—for making batches of cocktails. The process is part culinary exploration, part science experiment. 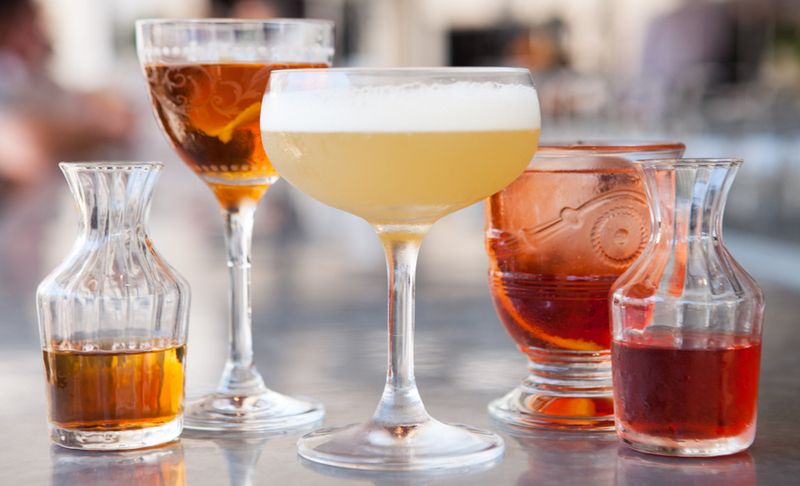 Barrel-aged cocktails have more robust flavor.